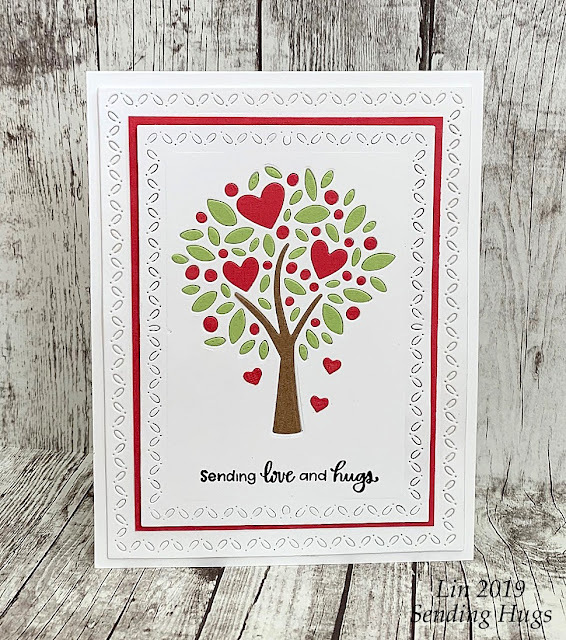 Welcome to another challenge at the Simon Says Stamp Wednesday Challenge Blog! 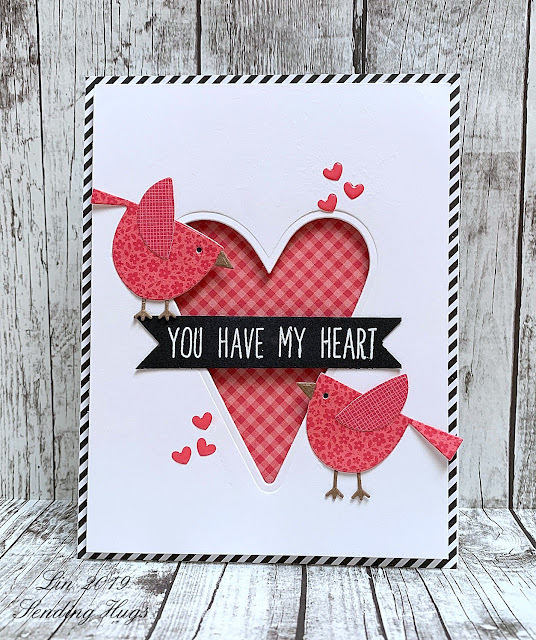 Our theme this week is Have a Heart, and my teamies and I are playing with My Favorite Things products. I was lucky to snag this darling Heart Tree die when it was first released earlier this month, and I used it for many of my Valentines this year - love how crisp the design is! Here I used traditional Valentine red for the hearts and berries, and added a few dropping hearts, using an older Simon die. The birds in my next card are a favorite MFT product of mine, too! Sweet cards Lin. Still loving that tree die. Another pair of perfectly delightful cards! Two darling Valentines, Lin! Just love the heart tree and the sweet birdies! Great pattern combos! !